Baden-Baden is a rather small town in the southwest of Germany, close to the French border and at the doorstep to the Black Forest. But it has groomed its international reputation since the 19th century, when it was known as the “summer residence of the European aristocracy.” These days it is still famous for its spas, the gambling casino, and more recently the biggest opera house in Germany. And let’s not forget: horseracing. The racetrack at Iffezheim, founded in 1858 by Edouard Bénazet, the French tenant of the casino, holds the premier position in Germany – from an economic, social, and sporting point of view. And it is here where it all started for Markus Klug. Born in Romania in 1976, Klug grew up in Rastatt – just a few strides away from Iffezheim. The 42-year-old has risen from owner-trainer with just one horse to the top of his guild at home, caring for more than 100 thoroughbreds at Rottgen stud, and quickly making his mark overseas as well. We met at the Spring Festival at Baden-Baden – the first “must do” of the year on the German racing calendar, and a homecoming for Klug, who always seems to have an open ear for the press, unlike some of his colleagues. It turned out to be a rather special weekend for Klug. Not only did he win a Group 3 sprint with one of his favourite horses, Millowitsch, and was honoured as champion trainer in Baden-Baden for the third time in four years, but he also enhanced his international reputation thanks to strong performances of two of his best horses in Epsom and Chantilly. “I loved to watch racing as a kid in Iffezheim and later started to ride in the morning for trainer Waldemar Himmel,” Klug says about his beginnings. Himmel runs a small yard in Iffezheim but competes rather successfully in the neighbouring France. Horses, however, weren’t the only passion of young Klug. He was a very decent tennis player in his youth, winning the Rastatt town championships as a teenager against the adults. But soon the horses took over his spare time. “When we owned our first horse, I started to train it and it was clear to me that I wanted to do something with horses.” But becoming a professional trainer always looked like a far-fetched dream. So after passing his A-Levels he decided to study business administration but stopped after two terms. “It just wasn’t for me,” Klug said, but still, he stayed on a supposedly safer track to his future, learning his trade as an insurance salesman. 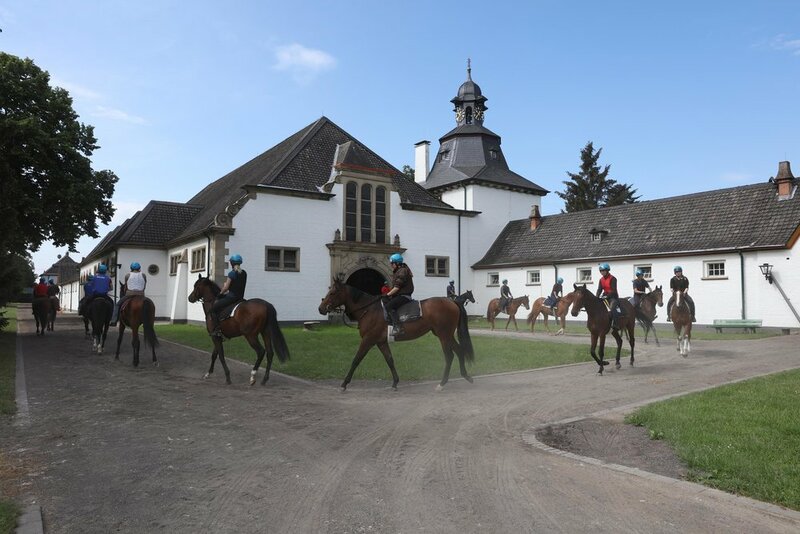 The Mehl-Mulhens-Stiftung owns the stud and racing stable of Gestut Rottgen, one of the most famous and traditional houses in Germany. The stud was founded in 1924 by Peter Mulhens, who made his money with Eau de Cologne 4711. His widow Maria Mehl-Mulhens, who died in 1985, saved the Rottgen legacy by creating the foundation, which apart from racing and breeding thoroughbreds supports horseracing in general, young riders, and helps jockeys who get into trouble due to no fault of their own. The foundation has the lawyer and former president of the highest court in the federal state of Hesse, Günter Paul, in charge. The beautiful stud is located in Heumar, very close to the major city of Cologne, right in the middle of a forest and fenced off by a large wall. 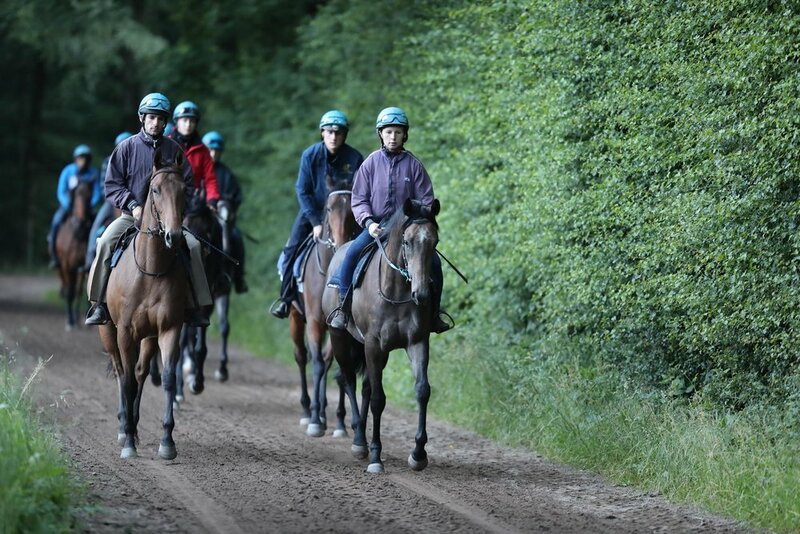 The training track – grass and sand – is 2.5 km long, and the horses have to pass a traffic light on their way from the stables to the working grounds. Rottgen has a fine reputation in the racing world, famously breeding the first German winner of the Prix de l’Arc de Triomphe and the Eclipse Stakes, Star Appeal, in the ‘70s. But things needed changing in the 21th century, and Rottgen needed fresh ideas.